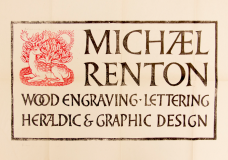 Michael Renton was a jack-of-many-trades and a real master of all of them! He started as wood engraver, having left Harrow Art School to ‘do’ rather than study. His apprenticeship lasted five years, but rather than the pedestrian engraving of his training, he wanted to do things more imaginatively. 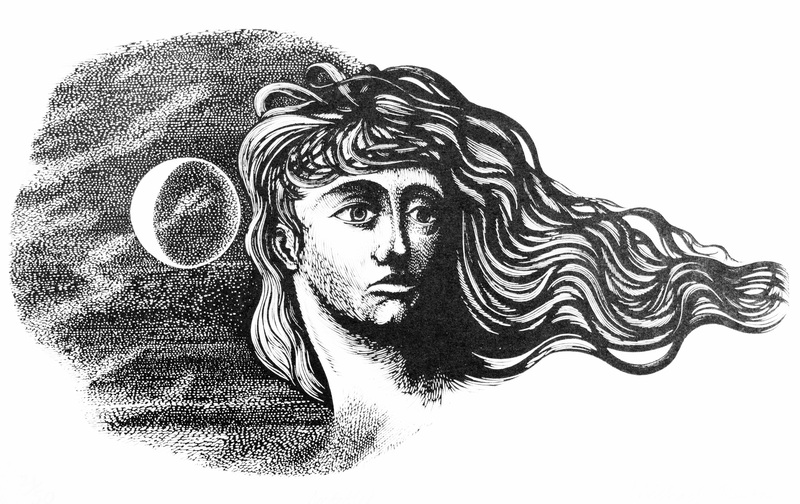 His Sun and Moon design for a book jacket on the right are a good example of this. Throughout his life shied away from ‘Art’ (with a capital ‘A’); Michael wanted to make things for a living, not as a way of life. 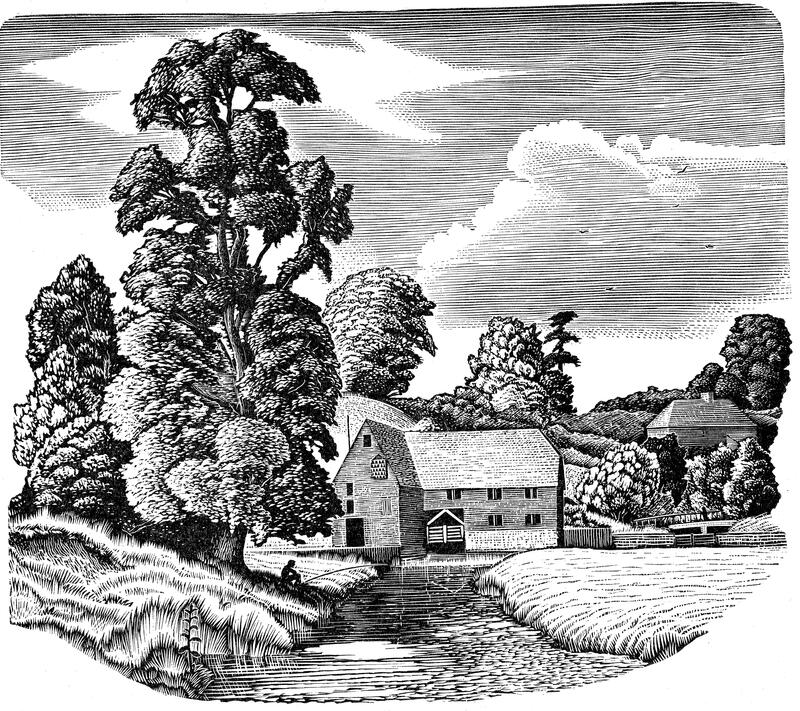 Michael realised that he needed to improve his drawing and while at City and Guilds to do this he found the lettering classes by William Sharpington. 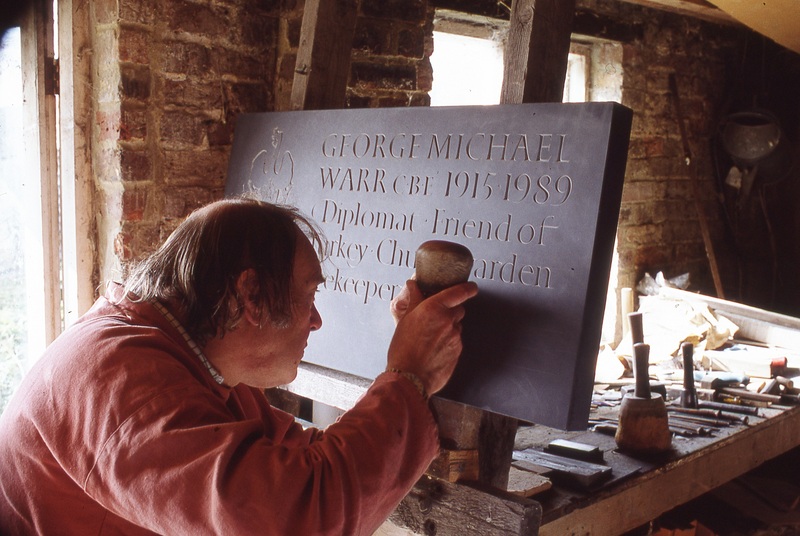 Sharpington ran a signwriting workshop and, after delayed National Service, Michael set up on his own as an engraver and lettering craftsman, with signwriting in association with Sharpington. 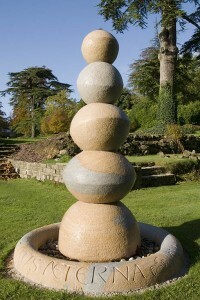 But Michael longed for the country, and in 1963 settled first in Winchelsea, near Rye in Sussex, and then to a small outbuilding on a farm near Icklesham. 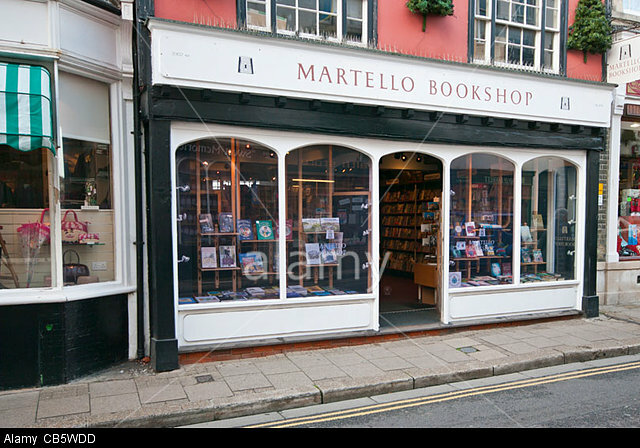 He stayed here for 20 years and there are example of his work in the surroundings, such as that for the Martello Bookshop in Rye. Michael also cut letters in stone receiving commissions from many eminent institutions and individuals, and he even carved his own gravestone, see right. 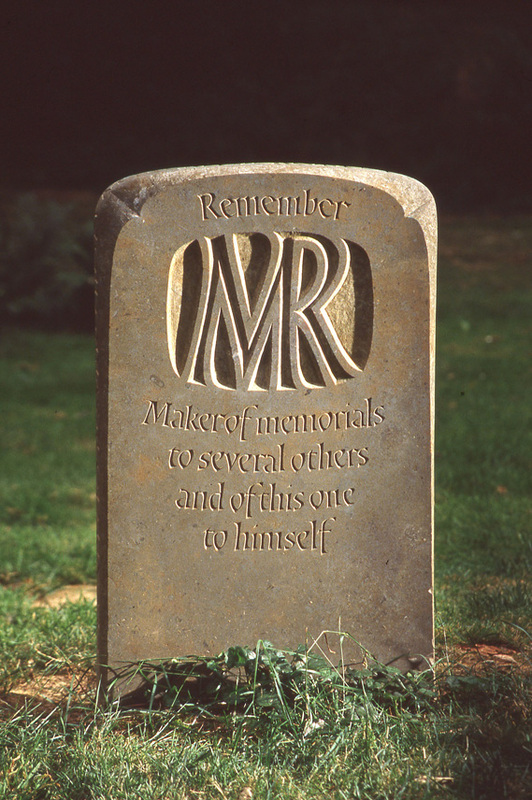 The slightly curved edges of the MR rectangle are reflected in the curved lines of the lettering – making this so very individual and personal, yet classic at the same time. When Michael moved to Winchester in 1994, it meant that it was easier for him to work on the lettering for the Cathedral. The clear signage in red and black letters painted on limed oak panels are distinctive. His painted Royal Arms above St Swithun’s gate and his cut lettering for the sign for the Visitors’ Centre are just two examples of his versatility. 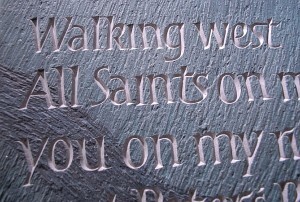 The exhibition – His Hands Magic – at the Lettering Arts Centre at Snape Maltings from 3rd April to 28th June 2015 is a chance to see Michael’s work in detail. 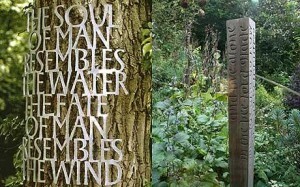 There are examples of his painting, letter cutting, wood engraving and drawings. There is also an excellent and detailed book about Michael, with essays by Harriet Frazer, John Nash, Simon Langsdale and others, and concludes with Michael’s writing about his experiences learning wood engraving. 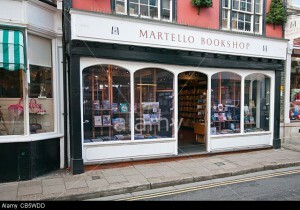 The book is lavishly illustrated with photographs of Michael and his wonderful work. 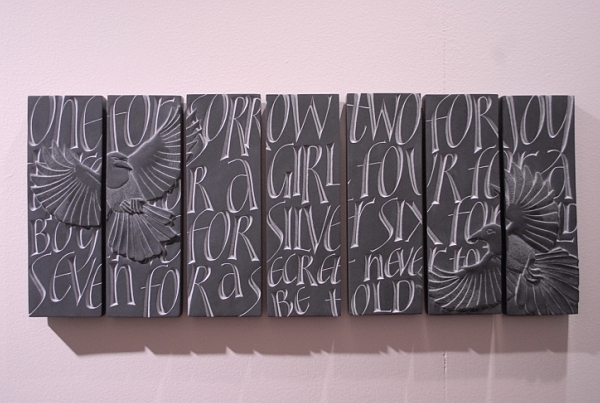 It’s available from the Lettering Arts Centre and through the website here. 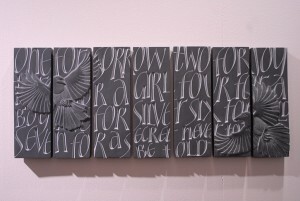 This entry was posted in Blog, Exhibitions and tagged His Hands Magic, LCAT, Lettering and Commemorative Arts Trust, Lettering exhibition, Michael Renton, Snape Maltings on 13 April 2015 by Patricia. 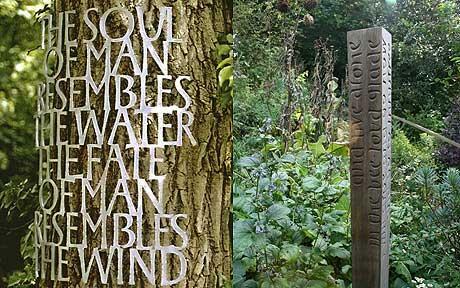 The Lettering and Commemorative Arts Trust’s exciting new shop and gallery space at Snape Maltings in Suffolk has a new exhibition – Masters and Apprentices. 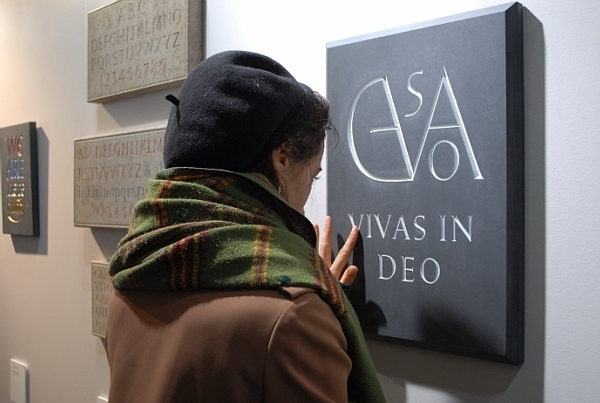 It emphasises the importance of passing on skills, and focuses on the seven letter carving apprentices funded through the Trust, as well as four generations of Masters, tracing their skills back to Edward Johnston and the British Arts & Crafts Revival. The exhibition is on until 29th June 2014. A fully illustrated catalogue is available. 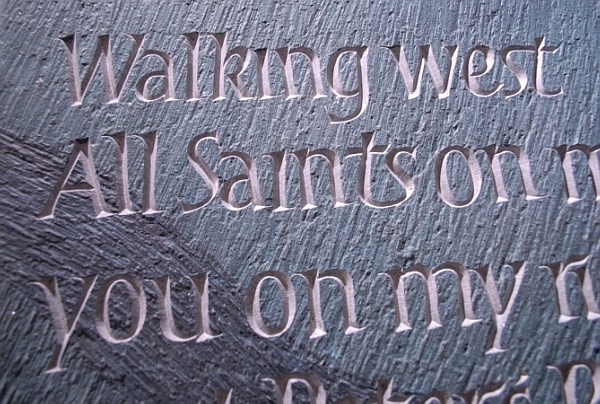 There are few, if any, recognised qualifications for letter carving, yet it is one of the oldest of skills, going back to ancient times. Throughout history trainers working in letter carving have been passing on the skills and knowledge to trainees, yet due to that lack of qualifications, it is impossible to tap into government funding to learn the craft. LCAT have done extremely well to have put seven apprentices through training, and the work of some of these and their masters is on show in this exhibition. 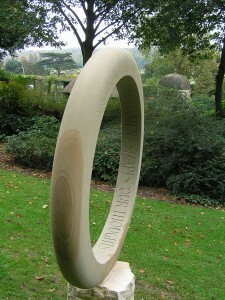 The exhibition’s curator, Gary Breeze, has emphasised skills transfer from Edward Johnston, who many regard as the father of modern calligraphy, working at the first half of the last century, and who was a great influence on his one-time student and then colleague and friend, the sculptor, letter carver and letter designer Eric Gill. David Kindersley trained and worked with Eric Gill, and also trained many others including his wife, Lida Cardozo Kindersley. This entry was posted in Blog, Exhibitions and tagged Edward Johnston, Eric Gill, Gary Breeze, Letter carving, Lettering and Commemorative Arts Trust, Masters and Apprentices on 27 April 2014 by Patricia.